It is one of our favorite places. 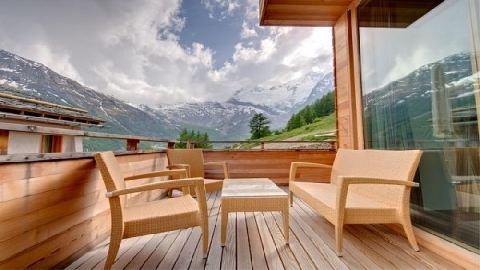 It oozes Swiss charm and the setting is stunning - spectacular glaciers and 4000m peaks surround the place. And good snow is guaranteed, even late in the season: the altitude you spend most of our time at - between 2500m/8200ft and 3500m/11500ft - is unrivaled in the Alps. From the entrance to Saas-Fee, several quaint lanes lead down (southwest) into the heart of the village, full of shops and some boutiques, but still with much character and charm. One of the world's top resorts, picturesque, car free, excellent facilities. Year round glacier skiing accessed by underground funicular and other modern, efficient lifts, including the 3-S-Bahn, a 30-person gondola. 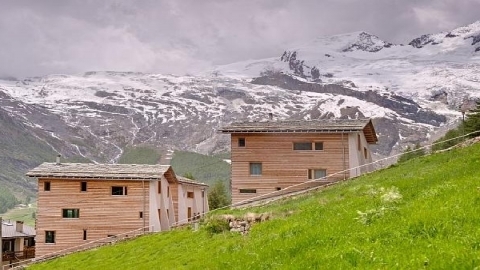 Our luxury ski chalets in Saas Fee are catered and self catered available.